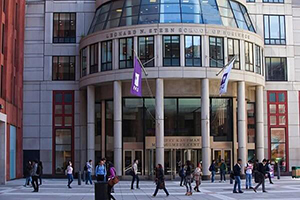 NYU Stern is a leading business school located right in the heart of Manhattan in New York City. The typical GMAT score for NYU Stern is high, so admissions to the university are highly competitive. If you can get in, the program has many appealing components, including its uniquely flexible scheduling options. NYU’s location in the heart of New York City isn’t only beneficial to full-time MBA students. It’s also beneficial to part-timers, who can work in Lower Manhattan and then quickly arrive in Greenwich Village in time for evening classes. And it’s because of this that NYU Stern’s program offerings are a bit different from most business schools. While most MBA programs have more full-time than part-time students, the reverse is true at NYU. Within the MBA program, NYU has about three times more part-time students than it does full-time students. Without a doubt, this makes the experience of attending NYU, especially as a full-timer, very different. The curriculum at NYU is focused on a core curriculum followed by many electives. For students looking for variety or choice, NYU offers the opportunity to do half of your degree through electives, because about half of the required coursework comes through electives. This is probably partially because of the large part-time contingent. Being able to choose freely among courses makes a part-time degree a lot easier to manage. Besides the MBA program, NYU Stern also offers Executive MBAs, and Master’s degrees in Accounting, Business Analytics, Global Finance, or Risk Management. It also has a small PhD program. One important point to mention about NYU Stern: it’s expensive. According to Poets&Quants, it’s not just a bit pricey, it’s actually the world’s most expensive MBA program, ringing up at a total of $184,532 for the full MBA program. If price is a leading factor for you, then do consider this when thinking about NYU. Luckily, there is plenty of data available about the typical GMAT score for NYU Stern. Thanks to the university’s website, we can form a pretty clear profile of admitted students. For the Class of 2019, the average GMAT score was 714 and the median was 720. The 80% range was 650–760, meaning that 80% of admitted students scored somewhere in that range. But most importantly, NYU actually provides the full range of its admitted students! This is pretty rare to find online for many schools, so you should appreciate this data if you’re interested in NYU. For the Class of 2019, the GMAT score for NYU Stern ranged from a low of 580 to a high of 780. That tells you a lot. If your current GMAT score is less than 580, there’s virtually no chance you’ll be admitted. Some other important admissions numbers: 21% of applicants were admitted for the Class of 2019. The average age was 28, and the average undergraduate GPA was 3.48. Among the 99% of students who had prior work experience, the average number of years of work experience was 4.9. Forbes ranks NYU Stern as the 21st best MBA program in the country. According to US News & World Report, NYU is the 12th best business school in the country, making it a solid option for anyone looking for a quality program. US News, however, also breaks down its rankings by category, and NYU stands out in some particular areas. Its part-time MBA program and finance program are both ranked #3. If you’re interested in a top-notch MBA program in the heart of Manhattan, it’s hard to ignore NYU Stern. That said, admissions to the program are highly competitive, so you’ll need a high GMAT score for NYU Stern. But if you can make the cut, Stern offers many appealing options. Most important among these are its part-time programs, which allow you to work while also attending school. [Photo by MSC.] 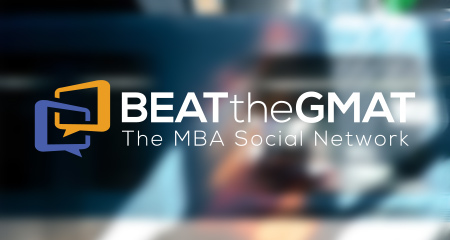 The post GMAT Score for NYU Stern appeared first on Magoosh GMAT Blog.